WRIGHT-PATTERSON AIR FORCE BASE – While technologies and tools provide pilots with a bevy of information to operate cutting-edge aerospace systems, pilots still rely on some visual cues to safely perform flight activities. Unfortunately, current aircraft coatings can allow water to accumulate around the canopy during critical phases of flight, such as landings. This could inhibit pilots’ abilities to observe important external factors such as runway markers and ground proximity. The Air Force Small Business Innovation Research/Small Business Technology Transfer (SBIR/STTR) program office recently provided an additional $875,000 for a SBIR Phase II follow-on contract that will provide innovative coatings to alleviate rain pooling on F-16 canopies and could have future impact on a wide variety of fighter aircraft. The additional funds were added through the program office’s Commercialization Readiness Program. 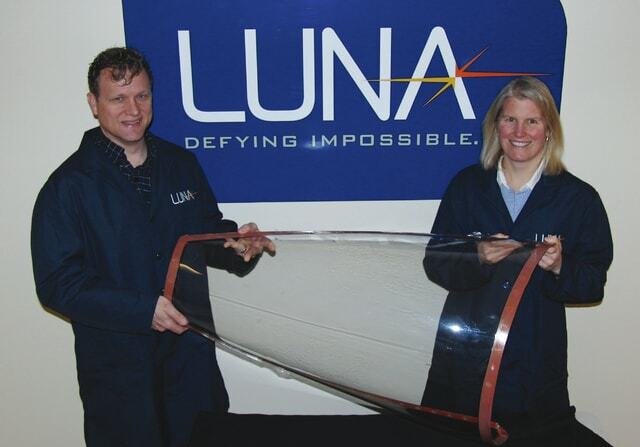 Luna Innovations, located in Roanoke, Virginia, will use the additional funding to continue development and maturation of its durable rain repellent coatings for aircraft transparencies. These coatings should provide superior shedding of water from the canopy during take-offs and landings under mist or rain conditions. According to Timothy Lucas, an Air Force researcher involved in the project, the coating will be applied using flow or spray application techniques. “Our goal is for the aircraft to remain rain repellent for over five years before having [the coating] reapplied,” Lucas said. “Luna’s coating is a versatile technology that allows for the coating to be replenished or refurbished in theater and at training sites as needed. This program leverages more than $1.6 million in additional funds from the Air Force and the Navy. These funds will help ensure the Phase II project graduates into a program that successfully transitions the technologies into military or private sectors. Since 2006, the Commercialization Readiness Program has directly linked Air Force centers to Air Force Research Laboratory technical points of contact to identify and evaluate Air Force needs and innovative solutions. Its primary objective is to accelerate the transition of SBIR/STTR-developed technologies into real-world military and commercial applications. The Air Force SBIR and STTR programs provide more than $300 million in funding for research and development activities by small businesses annually. With this budget, the Air Force funds research from the early stages of concept development until it transitions to military or commercial use. For more information about these programs, call the Air Force SBIR/STTR Program Office at 1-800-222-0336, email info@afsbirsttr.com, or visit the website at www.afsbirsttr.com.